This is a more advanced lockout hasp made from aluminium and stainless steel for high resistance to corrosion. 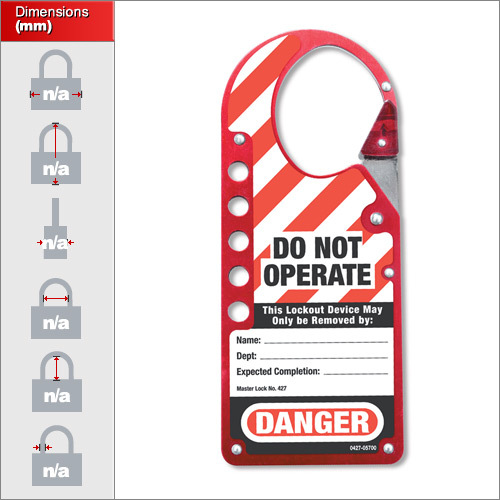 It is anodised in red for high visability and contains a large warning sign stating "Danger - Do Not Opperate". Each one is able to accept up to 5 padlocks although it possible to attach two hasps together to create more options. 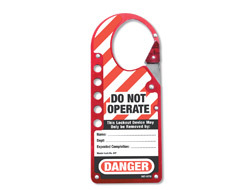 Each one is complete with high-vis, warning labels with an area for custom marking, instruction or identification. Non permanent whiteboard markers can be erased and re-used after the job is complete if necessary. 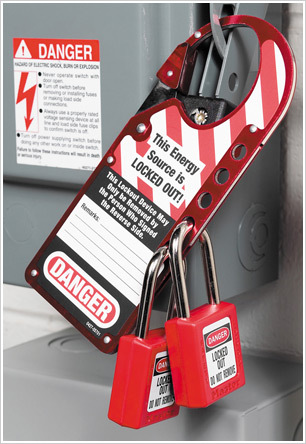 There are two sizes of Plug Lockouts to cover all types of electrical plug. Large for sockets of 240 volts and up. Small for 110-240v sizes.